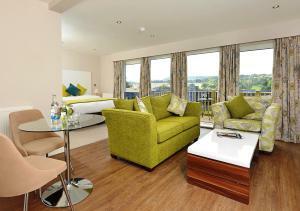 Below is a comprehensive list of hotels in Hardwick Hall. Use the sort links to refine your search or to find featured accommodation in Hardwick Hall. Many of our hotels in Hardwick Hall feature no booking fees and best price guarantee when booked through the Pictures of England website. To list your hotel in Hardwick Hall, click here. Woodend Bungalow is a holiday home located in Hucknall under Huthwaite, 23 km from Nottingham. The unit is 29 km from Sheffield. The kitchen is fitte.. 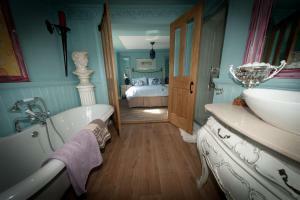 Featuring free WiFi throughout the property, Church Villa B & B offers accommodation in Chesterfield. Guests can enjoy the on-site restaurant. Free pr.. Located in Palterton in the Derbyshire Region, this holiday home is 3 km from Bolsover Castle. It provides free private parking. The kitchen features.. Located 32 km from Nottingham, Bryn Tor - The Gardener's House offers pet-friendly accommodation in Bolsover. The property features views of the city .. 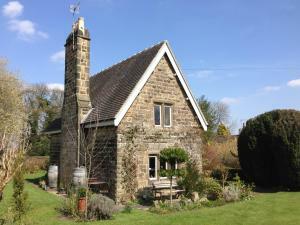 The Bothy offers pet-friendly accommodation in Stretton, 28 km from Nottingham and 26 km from Sheffield. The unit is 25 km from Derby. Free WiFi is av.. Featuring a barbecue, The Old Dairy is a holiday home situated in Clay Cross in the Derbyshire Region. The property is 30 km from Nottingham and free ..
Mansfield Manor Hotel is a 4-minute drive from Mansfield's centre, surrounded by Carr Bank Park. This Georgian hotel offers stylish accommodation, a b..
Around 2 miles from Alfreton, Boundary by Marston's Inns offers en suite accommodation in Derbyshire. Attractive rooms are complemented by a bar, rest.. Located in Stretton, The Crown Inn offers en-suite accommodation and offers an on-site restaurant and a bar. The property benefits from free WiFi acce..
Amberley Cottage is a holiday home located in Alfreton in the Derbyshire Region and is 23 km from Nottingham. The property is 32 km from Sheffield and.. Located in Clay Cross in the Derbyshire Region, this holiday home is 31 km from Nottingham. The property is 24 km from Sheffield and free private park..
Jug & Glass Cottage is a holiday home with a garden, set in Palterton in the Derbyshire Region. The unit is 6 km from Bolsover Castle. There is a din..
Offering a restaurant and a bar, The View at the White Horse Woolley Moor also boasts free WiFi access and free on-site parking for all guests. Just 7..
Offering a barbecue, children's playground and terrace, Amber Lodge is situated in Alfreton, 25 km from Nottingham. Free private parking is available .. Built in 1842, Sherwood Cottage is located on the oldest street in Kirkby-in-Ashfield and offers a stylish bedroom with a luxurious bathroom. Wi-Fi an.. Featuring a garden with tranquil views, Holly Cottage offers accommodation in the village of Brackenfield in the Derbyshire countryside. The property .. Featuring free WiFi, Redbrick Lodges offers accommodation in Clipstone. The accommodation boasts a hot tub. Nottingham is 25 km from the property. Th.. Located in Chesterfield, 36 km from Nottingham, Spire View @ The Galleon Steakhouse boasts a restaurant, bar and free WiFi. Guests can enjoy the on-si.. 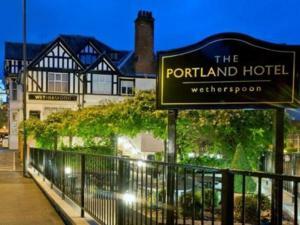 Situated in Chesterfield, 37 km from Nottingham, The Portland Hotel boasts air-conditioned rooms with free WiFi throughout the property. A flat-scree..